YAACOV AGAM was born in Richon Lezion in 1928. Agam studied at the Bezael school of art in Jerusalem and ideally he associates all his work with the ideals of jewish spirituality. He works exclusively in the forth dimension, his principal interest being the relationship between image and movement: in his early phase the kinetic factor was supplied by the ocular and physical movement of the viewer. In his surface works, the support is always constituted by angular elements painted differently on the two sides, so that the geometrical image changes radically according to the point of view. This theme was also developed on a large, architectural scale by designing "environments" involving the viewer in a colored space in a state of possible continuous change of colors and forms. Agam's research, which has made an essential contribution not only to the art but also to the aesthetics of our time, demonstrates that the work of art does not necessarily consist in a single image projected on to a single plane and connected with a single object: in a culture founded on a dynamic conception of space and time as ours, the work of art can only be a succession of images in accordance with certain laws of movement corresponding to the associative and combinatory faculties of the perception, considered as an active participant. 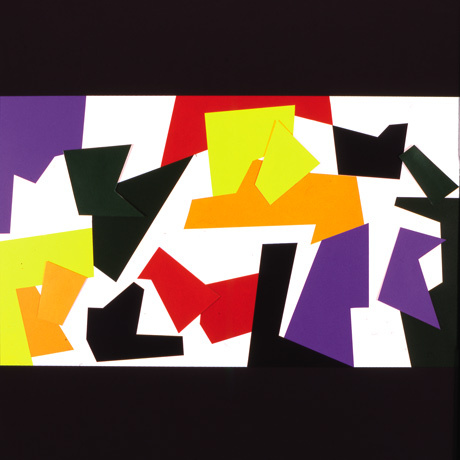 In the "Changing Spatial Squares," his first kinetic experience of 1953, the elements, arranged in space in a partially free situation, induce the viewer to intervene in order to change the image, thus introducing the "time" element. It is in this conception of temporal continuity that Agam's profound knowledge of Judaic thought and concept of "becoming" primarily reveals itself. After passing to the production of large sculptures for public spaces all over the world, Agam also designed chromatic contributions to architecture (a large residential center at Miami being one example of this form of collaboration). Agam has also devised an elaborated method of teaching children by means of art, in thirty-six books constituting a visual alpha-bet, the application of which is under consideration in many countries. Nowadays Agam makes use of sophisticated technical and electronic equipment integrating the most sophisticated technical and scientific update achievements in his research on the formation of dynamic images. His work has appeared in numerous international exhibitions: "The Responsive Eye" exhibition in 1965 at the Museum of Modern Art in New York, the "Mouvement" exhibition at the Denise Rene Gallery in 1965 and, subsequently, the "L'ultima avanguardia" exhibition at the Palazzo Reale, Milan, in 1983 and a personal at the Guggenheim Museum, New York, in 1982. Agam's sculpture, despite the frequent use of precious materials and the quest of formal elegance, is likewise based on the theme of movement and on the spontaneous decomposition and recomposition of the image-object. The divulgation of his work has been favored by a large production in the field of multiples.